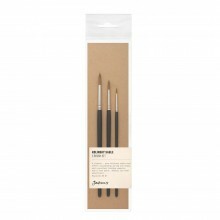 Jackson’s Artica brushes are made with the finest quality Toray white synthetic fibres, and have a round pointed shape. Each brush is cured to improve the spring and resilience of the hair so it keeps its shape well for a soft, yet controlled application. 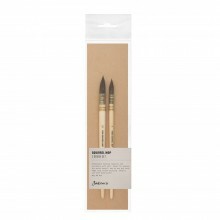 These travel watercolour brushes are ideal for plein air painting or for artists who prefer the convenience of a portable brush.